DW’s talk show for Arab youth, Shababtalk, recently produced a segment in the Iraqi city of Mosul together with local leaders, NGOs and 250 Iraqi students. Mosul was liberated from the so-called Islamic State (IS) in June 2017, and a lot of the city is still in ruins. 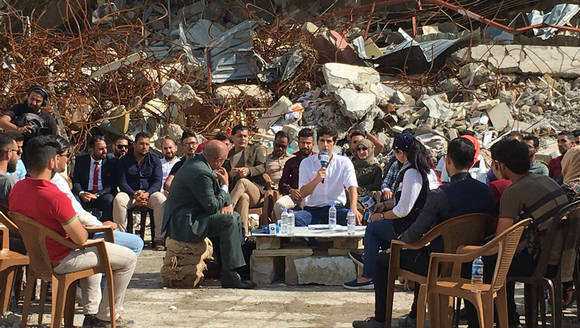 The host of Shababtalk, Jaafar Abdul Karim, said that the scene in Mosul’s destroyed old town was very shocking – even after his extensive experience in different crisis regions. The discussion centered on the challenges of rebuilding the city, dealing with the influx of refugees and the rights of minority people in the region. DW worked with local Iraqi production partner Alrasheed TV on the special episode. Even during the conflict, DW provided a sense of connection to the outside world. One participant in the discussion said that Shababtalk was his “window to the world” during the IS occupation of the city. The series has made an impact in recent years with young audiences from around the Arab world. The visit to a city like Mosul so directly affected by conflict is a big step for Shababtalk and is an indicator of how important free media and international broadcasting is to regions trying to develop positively for the future. DW’s talk show for Arab youth, Shababtalk, tackles important issues and gives young people a platform to speak out about cultural and social taboos. The show recently went a step further in Iraq with the Shababtalk Award, which put talented young Iraqis onstage to display their talents and ideas. In October Shababtalk went on social media in Iraq with a call for short videos entries covering talents and projects. In late November five winners were announced and the prizes were given out by local celebrities in music, art, social engagement. Included was Melon City, a popular Iraqi satire show. 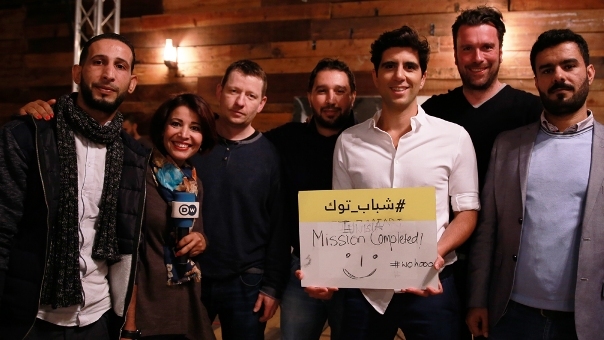 Shababtalk has made a big impact in locations across the Arab World. Since 2015, the show has been going on the road to get close to the audience and explore the issues that matter to them most. Shababtalk has also received numerous awards itself, most recently being awarded the Mediterranean Journalist Award. Over 220 guests attended the awards ceremony in Baghdad, including local bloggers, activists and opinion makers. Local partners Alrasheed TV and Iraki Media Network broadcast the awards ceremony. The Shababtalk Award will be given out every year in a different Arab country. DW’s talk show for youth in the Arab world, Shababtalk, has been honored as the best Arabic talk show by the Arab States Broadcasting Union (ASBU). It is the third year in a row that Shababtalk has earned this distinction. The ASBU decision was especially motivated by a Shababtalk edition that focused on the role of Arab youth six years after the Arab Spring. A report produced by DW in Baghdad with the support of Iraqi partner Al Rasheed TV also won a gold award from the ASBU. The emotional report was produced as part of Shababtalk’s tour of the Arab world last year and profiled a developmentally disabled Iraqi girl . Shababtalk is expected to go on tour to six locations in the Arab world in 2017. Leading Lithuanian broadcaster INIT TV is providing 500,000 households around the country with the popular DW shows Focus on Europe and Europe in Concert. Focus in Europe will be broadcast with a Lithuanian voice over and Europe in Concert is also being shown on INIT’s music channel, PLAY TV. The 2017 DW Freedom of Speech award will be given to the White House Correspondents’ Association (WHCA). The DW Freedom of Speech Award honors a person or initiative that provides an outstanding example for freedom of expression and human rights. DW said the WHCA had established a new benchmark in holding US leadership accountable. With the award DW recognizes the important work of ensuring clarity and transparency from an increasingly uncooperative US presidential administration and amid accusations of “fake news” and attacks on journalistic integrity. WHCA President Jeff Mason will receive the award at the Global Media Forum on June 19. For audiences across the Arab World, DW (Arabia) makes a valuable contribution to the media landscape with television that breaks taboos and publicizes sensitive social issues. 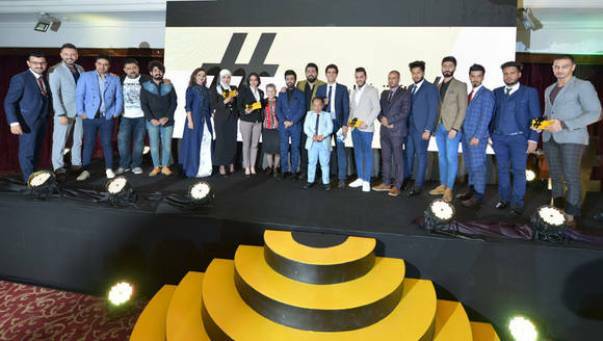 The Arab Media Council in Amman, Jordan recognized this recently with the Al Haitham Arab Media Award for best Arabic youth talk show presented to Shababtalk. Hosted by Jaafar Abdul-Karim, Shababtalk provides a forum for ideas and issues like freedom of expression, unemployment and women’s rights, which are important to young people in the Arab world, but do not receive media coverage. 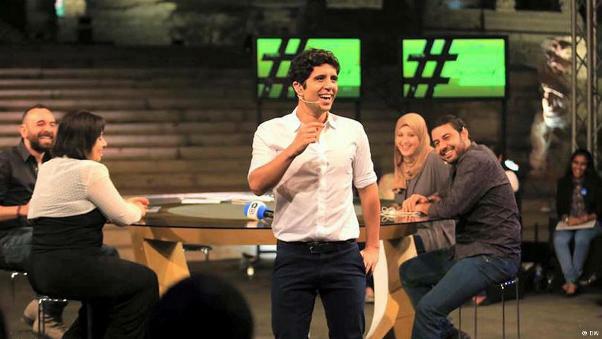 The show has become a voice for young Arabs. DW’s Arabic programming is establishing a strong presence in the region. In 2015, DW won the Al Haitham award for best international broadcaster with Arabic-language programming. Shababtalk won the 2015 Arab Festival for Radio and Television Award from the Arab States Broadcasting Union (ASBU) for best talk show. In 2015, Shababtalk went on tour across the Arab world with special episodes broadcast from Iraq, Tunisia, Morocco, Egypt and Lebanon. A new series of on-location productions is also being planned for 2016. Launched in 2011, the show is a central part of DW’s programming strategy for the Arab World. Six DW productions from the series Euromaxx and Focus Europe also recently won awards at the WorldFest-Houston International Film Festival held in the US state of Texas. Founded in 1961, WorldFest is the oldest independent film and video festival in the world and recognizes outstanding creative excellence in film and video. The Focus on Europe report Living with Terrorism won a grand award for its personal depiction of life in Paris directly after the terrorist attacks in November 2015. Also from Focus on Europe, the investigative report Alone Against Al-Qaeda , won a platinum award for investigative journalism. It tells the story of a Danish islamist who joined Al-Qaeda and then changed sides, putting his own life in danger. Bartered Brides, a report covering refugee families that are selling their daughters to Turkish men, won a platinum award in the ethnic/cultural category. 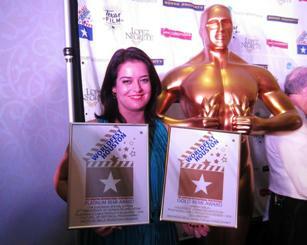 Winning a gold award in the same category was a report on an aid worker helping refugees, Guardian Angel of Fugitives. Euromaxx specials covering the 25th anniversary of German reunification also won awards at WordFest Houston. The broadcast “Euromaxx – Special Edition 25th Anniversary of German Reunification” won a platinum award in the category cultural/historical programming. Winning a gold award in the documentary category was the multimedia documentary special Generation 25,which portrays the lives of young people born after reunification. This latest series of distinctions for DW show how the diversity and quality of DW’s productions resonates with viewers in different regions around the world. The continuing influx of refugees into Europe has presented a divisive challenge to the EU, with discussions of entry quotas, border controls, blame and shame scattered across newspapers, websites and nightly broadcasts all over the continent. Germany and its refugee policy have been placed in the heart of the storm. Recently in Brussels at the Representation of North Rhine-Westphalia to the European Union, DW hosted a panel discussion, “Can we make it? The impact of the media on Europe’s refugee crisis.” Experts, politicians and journalists explored how the ongoing refugee crisis in Europe is challenging the EU and what role the media plays. The discussion was attended by around 200 people and presented unique and valuable perspectives from European politics and media. Ulrike Lunacek, a European Parliament Vice-President from Austria, addressed the issue from the perspective of EU politics, saying that the refugee situation itself didn’t constitute a crisis, but rather lack of political will in the EU. 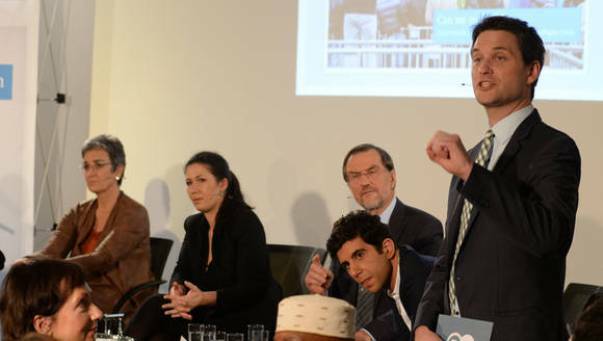 A plurality of ideas from different European media at the discussion showed that the portrayal of the refugee crisis differs from country to country. Jaafar Abdul Karim, the host of DW’s Arabic talk show Shabab Talk, pointed out that it was important for the media to get the point of view of refugees, rather than only reporting about them. Karim has produced a series of video blogs for DW and Spiegel Online where he frequently speaks with refugees. French journalist Adeline Percept said that French media differs from Germany, with reporting that tends to be “one-sided.” The Polish journalist Piotr Jendroszczyk said that the media in each EU member state was depicting a “different reality” of the refugee situation. As Germany’s representative in the international media landscape, DW has an important role in explaining and clarifying the complicated implications of the refugee crisis, along with providing hard news reports of developing situations at borders and in refugee centers. DW has even gone a step-further and provided an online guide to Germany for refugees in Arabic, Dari, Pashtu, Urdu, English and German. The website explains everything from visa and housing regulations to adapting to cultural norms and learning the language. As more refugees continue to arrive in Germany and the humanitarian challenges are addressed, the political discussion continues. Whatever reality is chosen to be portrayed, the refugees are continuing to arrive and the EU continues to face a great challenge. An edited version of the discussion will be aired December 15 on DW.